Your homepage is always one of the trickiest assets of your website to optimise. No other part of your site has so much to do in a relatively short space: present your brand image, push your key selling points, explain exactly what you have to offer and convert users – or at least guide them to another part of your site with more specific information and other opportunities to convert. That’s a lot to squeeze into a single page and you really have to get the finer details right when it comes to designing a homepage that keeps traffic on your site and generates valuable leads. To help illustrate how much the finer details matter, we’re going to show you three tweaks we make to our homepage that increased conversions by more than 500%. You’ll see all kinds of articles online telling you how to improve the hero section of your site to increase conversions. The problem is they tend to follow the same concept of adding things that will convince people to convert: compelling images, calls-to-action, buttons and everything you’ll find in the typical handbook for conversion optimisation. Except you’ll often find that simplifying your approach is the better way to go and this is exactly what we encountered when it came to optimising the hero section of our homepage. While our natural instinct was to push users towards the conversion as soon as possible, we’ve gotten much better reults over time by ditching the CTAs and buttons in favour of a simpler message that communicates our key selling point: accelerating business growth. By reducing the information load upon users when they land on our homepage and removing the number of required actions (now they only need to scroll for more info), we’ve increased engagement through lower bounce rates and more time spent on page – all of which gives our other messages a better chance to convert without early distractions getting in the way. As soon as we lifted the CTA from our hero section and replaced it with a more compelling value proposition, we saw email signups from our homepage increase from 11% to 17% (a 55% increase). That’s pretty impressive when all we really did was remove something designed to convert and rethink our message. Without a CTA in our hero section and a stronger message hitting users when they first land on our page, more users are staying on our page and converting in larger numbers when they reach the calls-to-action further down our homepage. The most significant change we’ve made to the Venture harbour website so far is switching to multi-step forms. Design best practices tell you shorter forms mean less friction and higher conversion rates – a great theory, but one that doesn’t materialise in the wild. The more we worked with multi-step forms, the more we realised the general consensus on form design didn’t add up. 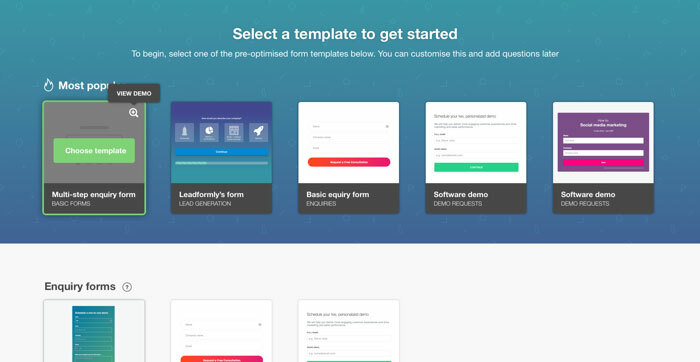 So we switched to multi-step forms and refined our approach until we created an intuitive format using interactive questions and conditional logic to guide users through different conversion types. Once we realised the power of multi-step forms we created Leadformly – an advanced form design and analytics tool rolled into one. Now we can use one form to generate three different types of leads, based on different user needs, without them needing to navigate to different parts of our site and risk getting lost along the way – ideal for a homepage where you have multiple offers to promote. One our final implementation of multi-step forms was up and running we were looking at an incredible 300% increase in homepage conversions and we’ve seen even better results on other websites we manage. Until this day, moving over to multi-step forms has made the single biggest difference to conversion rates across our site. Following the same principle behind our new message in the hero section of the Venture Harbour homepage, we adopted a new content strategy of showing visitors the impact we have upon businesses. Instead of selling our services, we tried a number of variations on the traditional case study approach. By split testing our variations we found the best performer was something we call “stories” which are essentially short case studies – each one with compelling headlines that address one of the top three marketing concerns highlighted in our research. We also had to split test a number of conversion options to see which got the best results. Our first tactic was to create pages for each case study and place email signups at various sections of each page. Our second option was to use exit-intent popups instead of the email CTAs. Finally, we also tested a variation that bypassed the pages altogether and asked users to hand over their email address right away. Amazingly, this final variation got the best results. 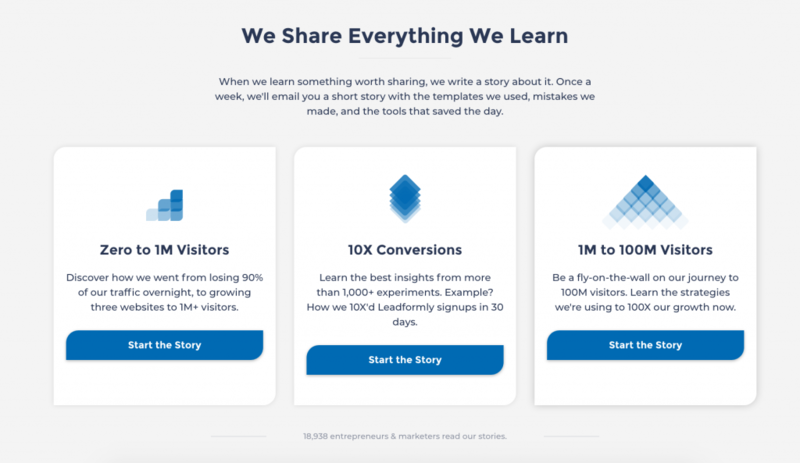 So we dropped the “Story” pages and prompted users to submit their email address in exchange for our stories. We make a point of highlighting the key takeaways people can expect and establish ourselves as a brand that shares insights with business owners around the world – a theme that now runs throughout the Venture Harbour website. 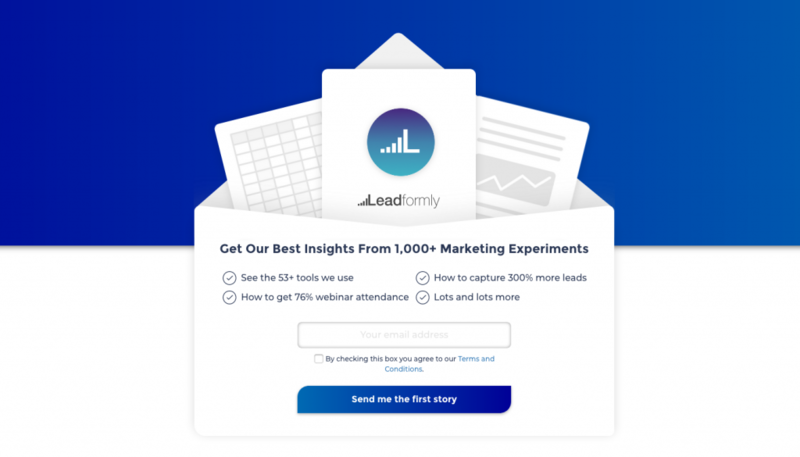 Through telling stories and sharing our insights – instead of directly promoting our services – we increased our email signups by more than 150% in less than a year. The key to conversion rate optimisation is knowing what to test. You can follow all the UX best practices and test everything in the CRO guidebook but you’ll waste heaps of time and budget switching between endless variations. Every tweak we’ve mentioned in this article breaks some kind of UX or CRO principle but they collectively increased our conversion rates by more than 500%. We achieved this by focusing on the areas of our site that impact conversions most and forgetting about all the assumptions best practices rely on. We did our research, collected our own user data and made minimal, informed design tweaks that had a serious impact. This is the kind of efficient, high-impact approach to conversion rate optimisation you should be aiming for.